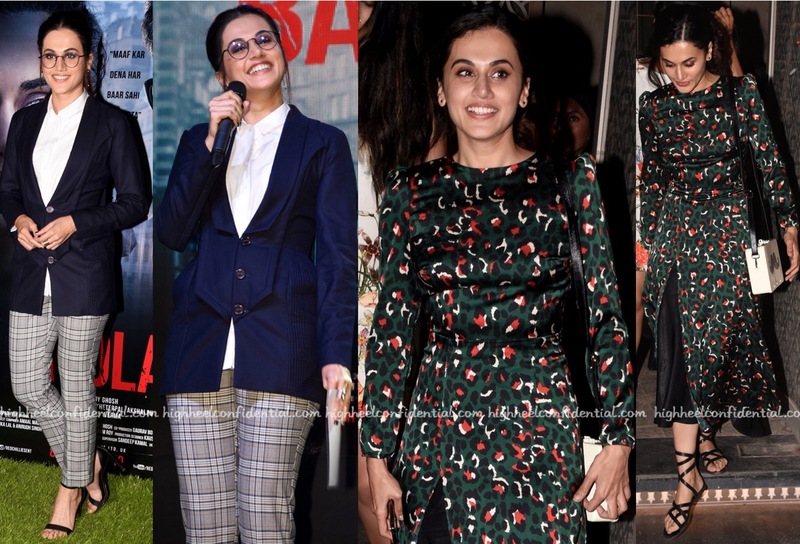 For a round of movie promotions, Taapsee teamed her Rishta By Arjun Saluja jacket with a pair of Zara pants. And at a restaurant launch, she was spotted in a printed dress, one that she teamed with a pair of strappy sandals. Which of her two looks do you like more? The bride-to-be and groom-to-be took off to Italy with both wearing white. Deepika opted for a white scarf sweater with a knit skirt, Louboutins and her Hermès Kelly and Ranveer wearing a Rishta By Arjun Saluja. You can count on Mr. Singh now to always deliver the unexpected on the red carpet. 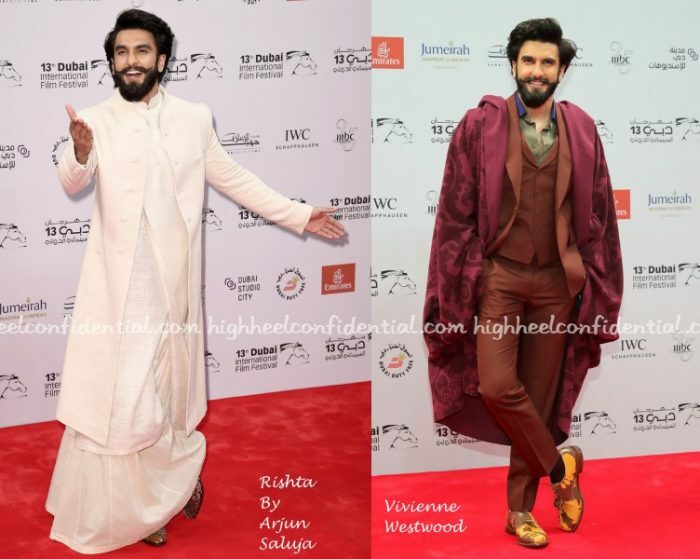 At the Dubai International Film Festival, opening night had him in a Vivienne Westwood suit but the element that made the look quirky was the printed robe that he also chose to wear on the red carpet. 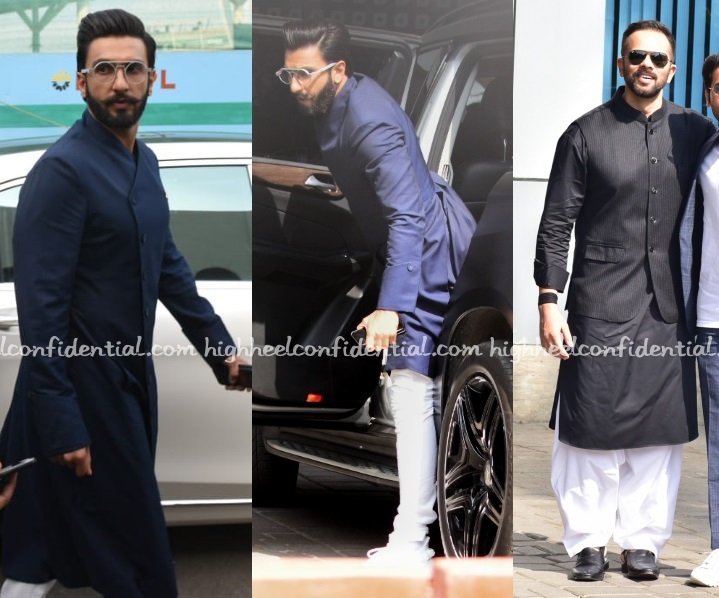 On day two, at the premiere of Befikre, the actor sported a white Rishta By Arjun Saluja separates with Sabyasachi x Louboutin studded brogues. 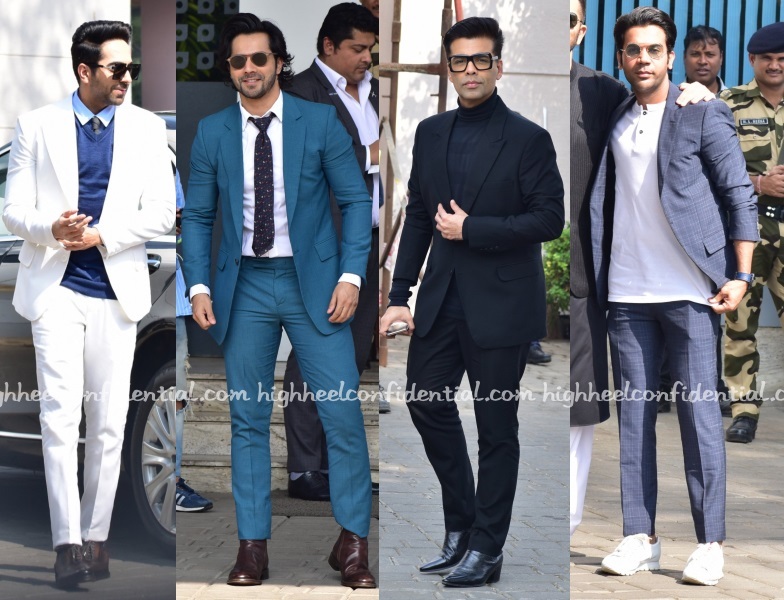 The man pulled off both looks with such ease. We’ve sure thank him (and his stylist Nitasha) for keeping it interesting. Always. Latest round of movie promotions had Sonakshi pairing her Zara separates with a jacket from Rishta. Her accessories of choice included a pair of boots, also from Zara and jewelry from Pipa Bella. Think Ms. Sinha fared well?